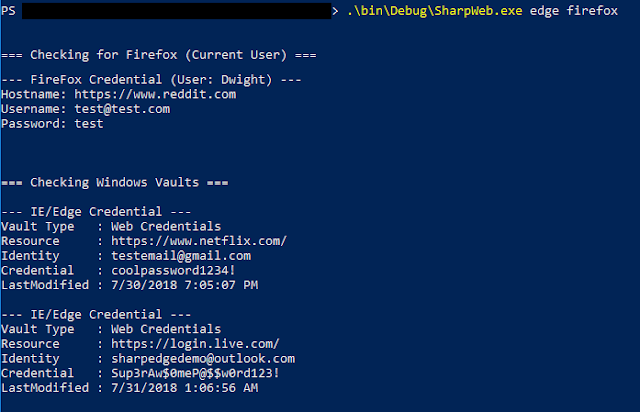 ccompliant project that can retrieve saved logins from Google Chrome, Firefox, Internet Explorer and Microsoft Edge. In the future, this project will be expanded upon to retrieve Cookies and History items from these browsers. SSH key management. Multiple vs password manager? Can Cocospy Help To Diffuse Risks From Facebook? How do I make sure no one ever sees my personal files? Mitsubishi Aerospace is one of the latest victims of Ryuk ransomware... shhhh! Folge uns auf Twitter um einen Echtzeit-Stream zu erhalten. Updates alle 5 Minuten!